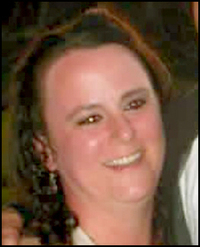 EDGEFIELD – Mrs. Andrea Nicole “Andie” Sanford Deas, 25, entered into rest along with her husband, Mr. Charles “Buddy” Deas, on Sunday, October 9, 2016. She was a daughter of Jimmy Ray, Jr. and Stacy Lynn Johnson Sanford, of Saluda. She attended Midland Valley High School and graduated from Saluda High School where she was active in the marching band at both. Andie was employed by Amick Farms, was a member of Southside Baptist Church and music played a big part in her life. In addition to her husband and parents, family members include siblings, Kyle Sanford(Ashley) of Fairbanks, AK, Caitlyn Sanford of Saluda; her best friend Kayleigh Lewis of Warrenville; grandparents Doug and Mildred Frye, Jeanette Johnson, great-grandmother, Eunice Quackenbush, all of Warrenville; aunts, uncles and cousins. The family greeted friends on Friday, October 14, from 4 until 8 p.m. at Hatcher Funeral Home & Cremation Service, Graniteville, S.C. A Celebration of Life Service was held on Saturday, October 15, at 2 p.m. at Bethel Baptist Church, Aiken, with Pastor Brancie Stephens officiating. Interment followed in Langley Cemetery. Memorials may be made to the Albrecht Center for Animal Welfare, (www.letlovelive.org) due to Andie and Buddy’s love for animals. Visit www.HatcherFuneralHome.com to share memories and leave a message of condolence for the family.